To me, it absolutely already feels like spring. 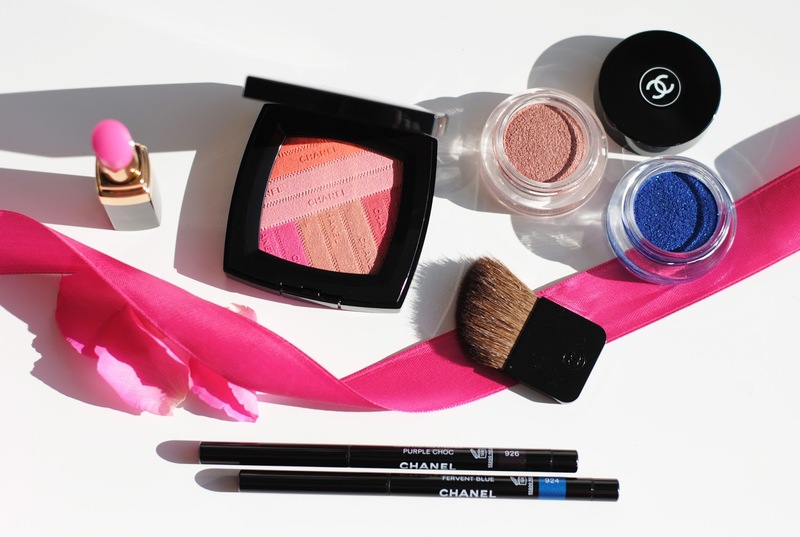 And this new Chanel collection is one of reasons why, it's inspired by the L.A. Sunrise - a vibrant, colorful collection. When the sun rises over the bay in L.A., it releases a shining light over the nature and special architecture of L.A. The horizon is a multi-colored spectacle, every color in the city becomes more vibrant and expressive in the spring light. 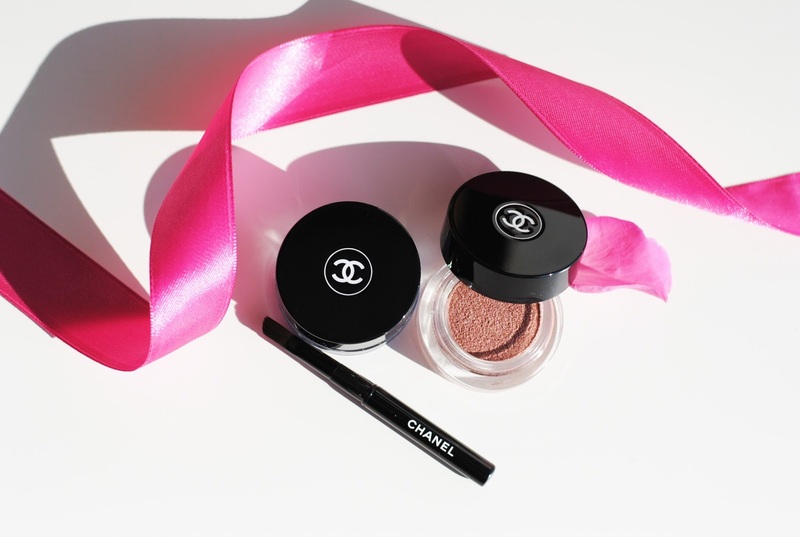 In the L.A. Sunrise collection, Chanel tried to catch the beauty of the Californian morning. Thé star product of the collection is the Sunkiss Ribbon blush. 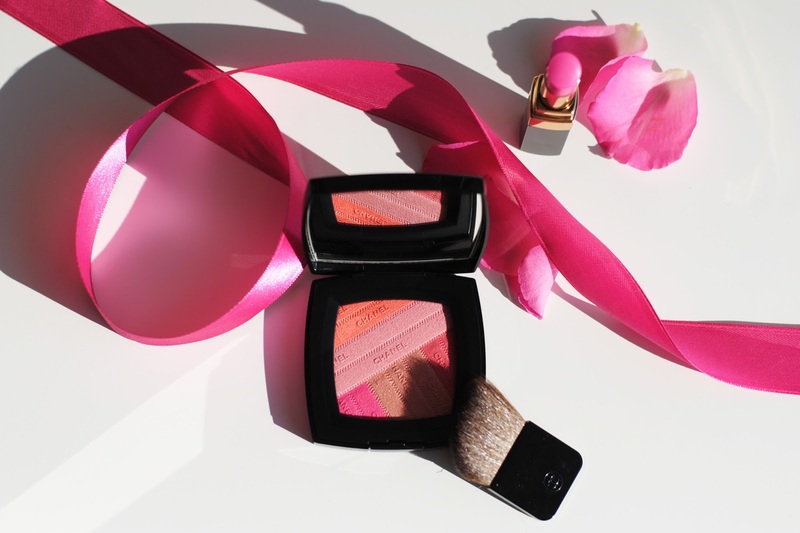 The blush contains the colors of the Californian morning, when the light transforms the sky into a palette full of color: orange, pink to even petal beige. Little ribbons of color mix with each other, just like the early morning sky. 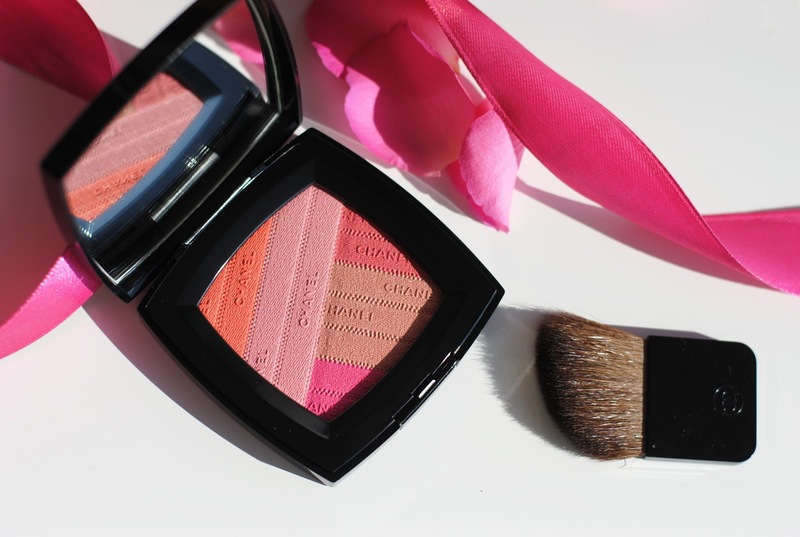 The blush looks gorgeous, it's my favorite product of this collection and definitely a top 3 product of this spring. The blush is very pigmented. Some of the colors have little shimmers. Together they create a pinky-beige tone, pretty! Light, yet noticeable, a springy color. 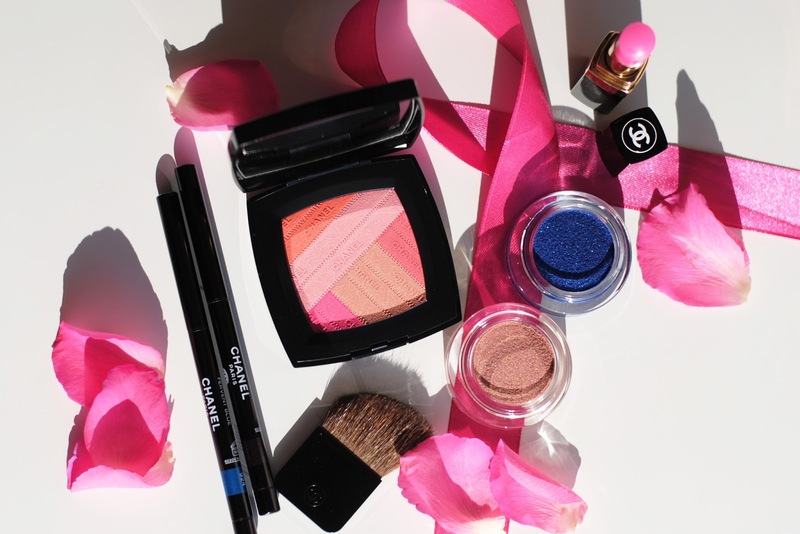 You can of course also use the colors separately, or even use them as eyeshadow. 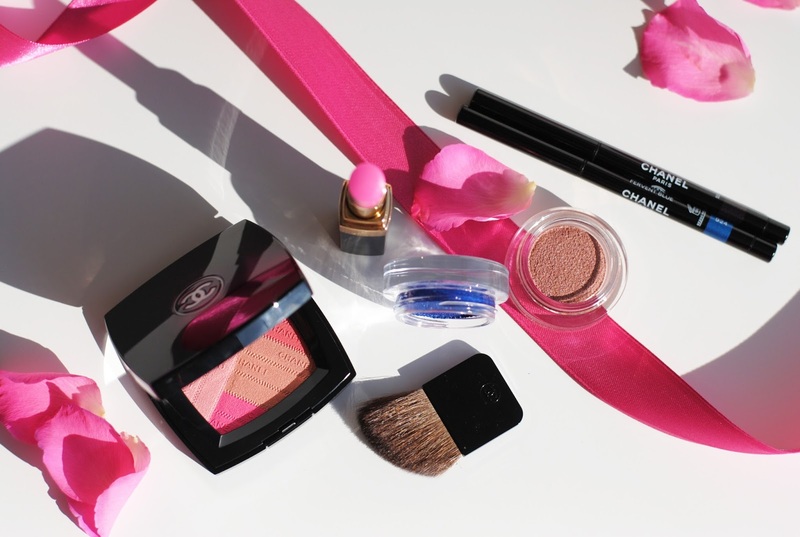 The blush smells a lot like roses, at first it was a bit overwhelming. But after I used it a few times I got used to it. 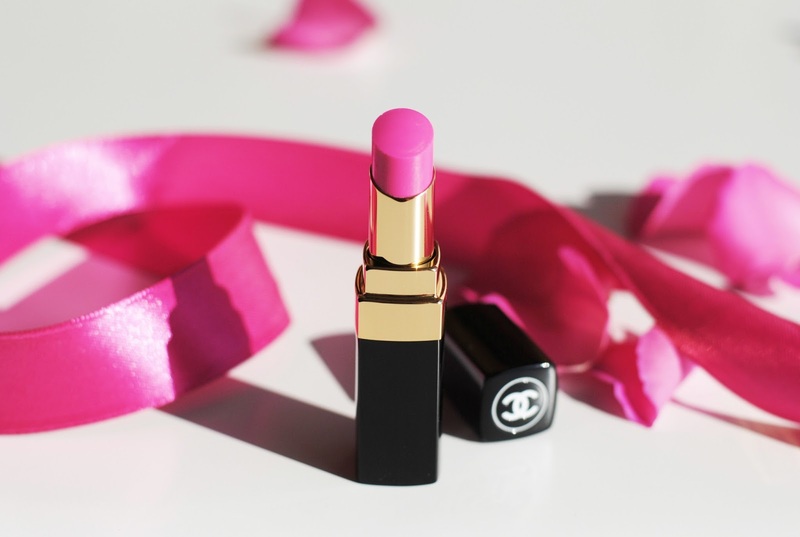 My first real lipstick ever was a Chanel lipstick. A burgundy matte shade, I still have it and I won't get rid of it. Buying that lipstick was the start of my whole make-up collection if you think about it. The Rouge Coco Shine lipsticks are sheer lip shines, that are quite buildable. 116 Mighty is a pink, girly color and builds up to decent pigmentation on the lips. These two were completely new for me, so I was very curious! 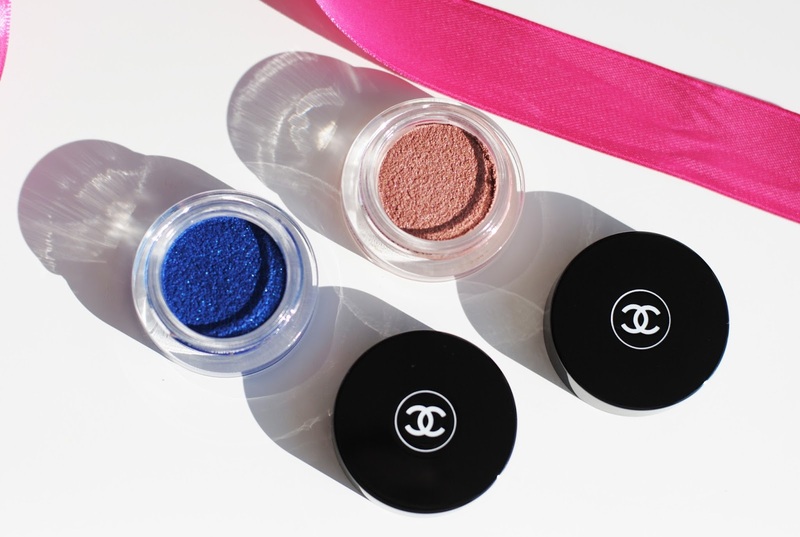 The Illusion d'Ombre eyeshadows are long wear cream powder eyeshadows. There are 3 colors in this collection: Moonlight Pink, Griffith Green and Ocean Blue. On the photo are Moonlight Pink and Ocean Blue, two pretty colors. 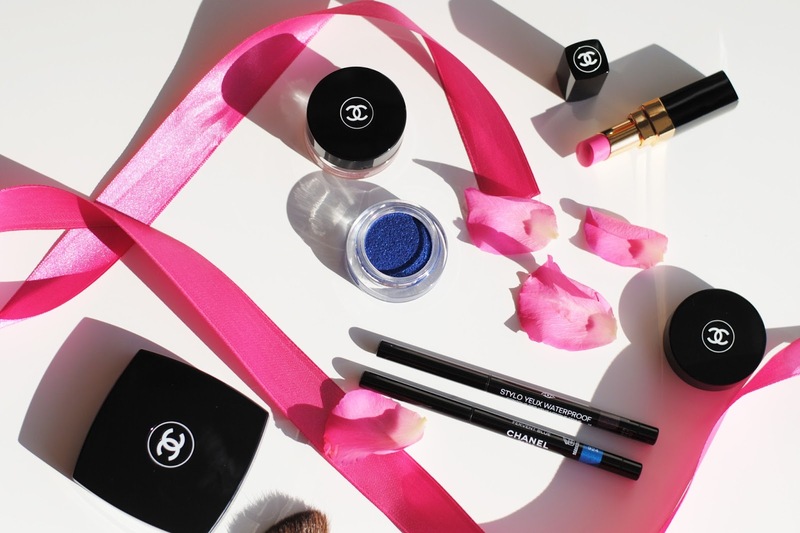 The eyeshadows come with a little brush, so handy! The swatches are down below, because I swatched them together with the pencils. The energy of the West Coast in eye pencils! 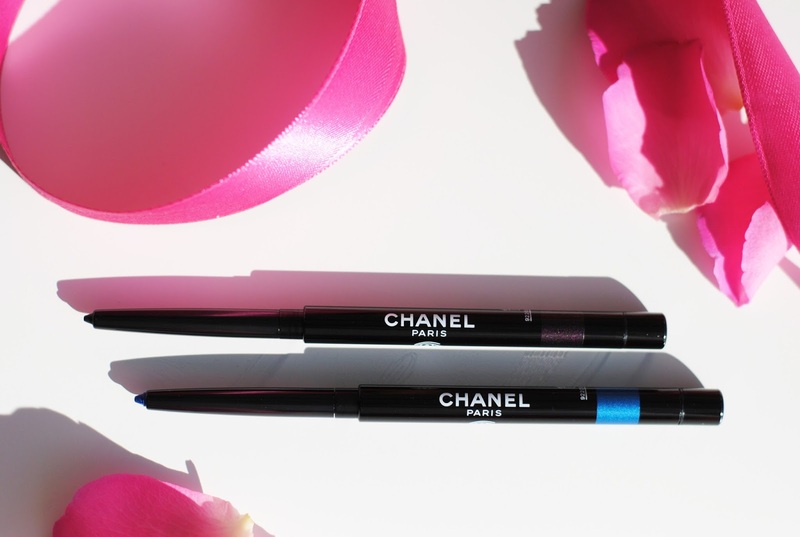 The Stylo Yeux Waterproof are quite creamy, so very easy to apply. Fervent Blue is the color of the ocean in the morning, just like Ocean Light. 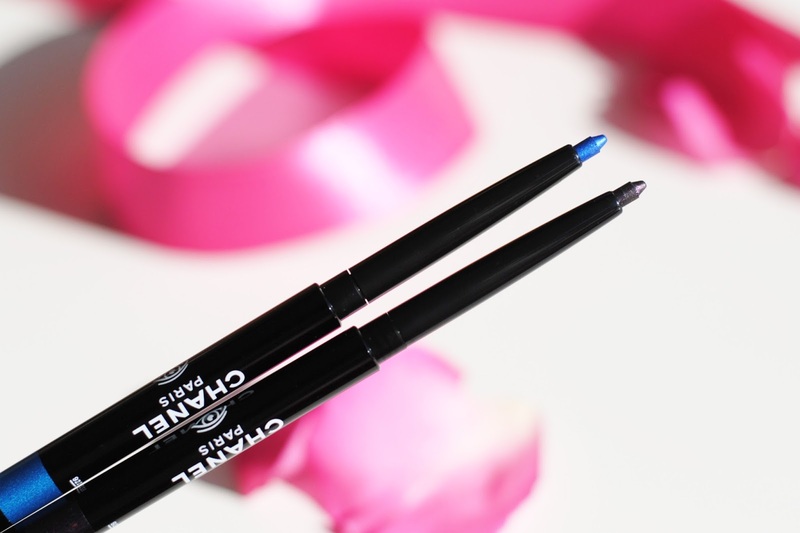 The eye pencils are pigmented and stay on a whole day. Purple Choc is a deep violet, that is dark like the upper part of the swatch, but when it catches the right light it releases a shimmery violet shine, like the bottom part of the swatch. 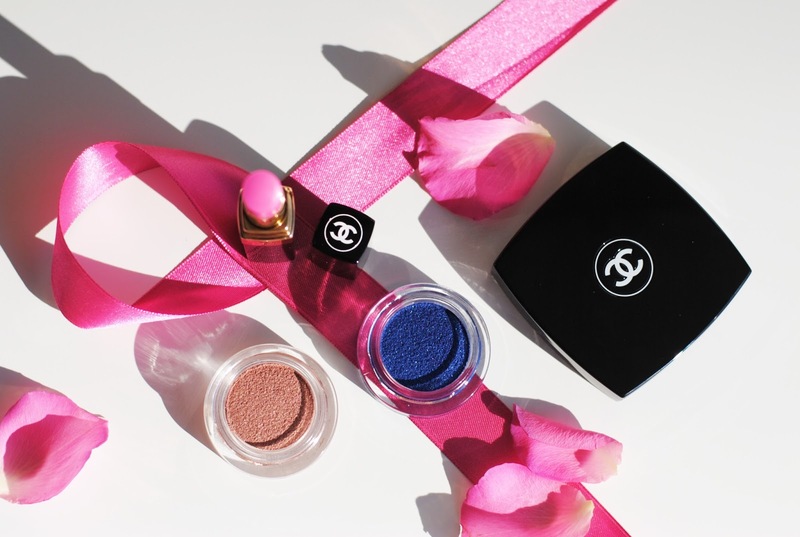 The Illusion d'Ombre eyeshadows have a mousey texture, and are fun to work with. Moonlight Pink is a great base for brighter colors. I expected Ocean Light to be more blue, because the color doesn't really match the color in the jar. It's much lighter and also a bit less pigmented than Moonlight Pink. Still pretty though, just not what I expected. I love this collection, I love what it's based on. I love that it finds it's way in every single item. 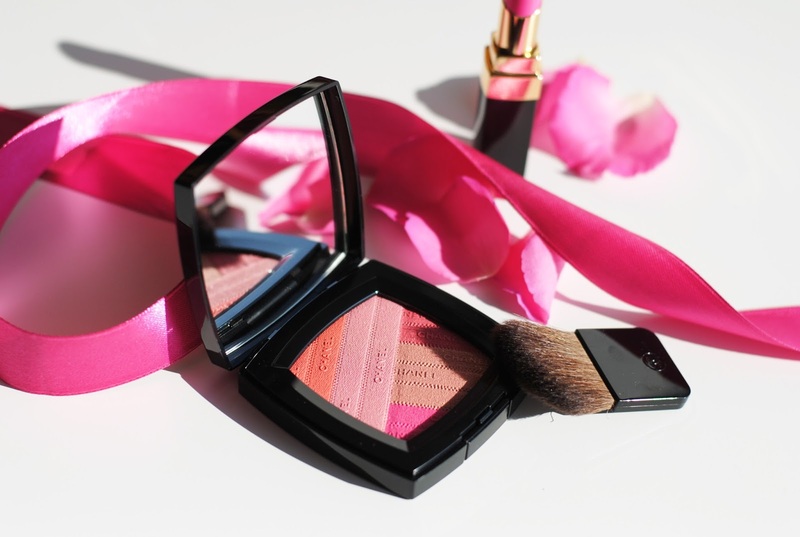 My favorite product is the blush of course, it's a stunner and amazingly pigmented. 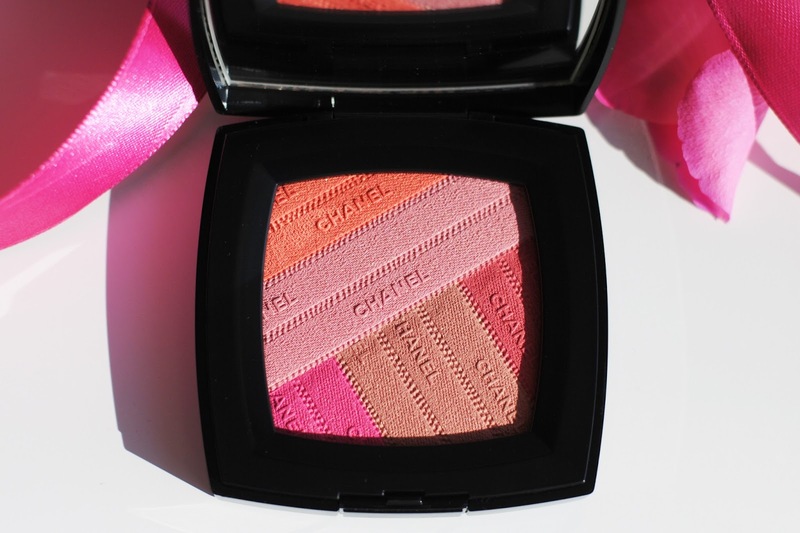 If you find these in store, and you're looking for a pretty blush, take one with you. Because they're selling out very, very fast! It's a great collection! 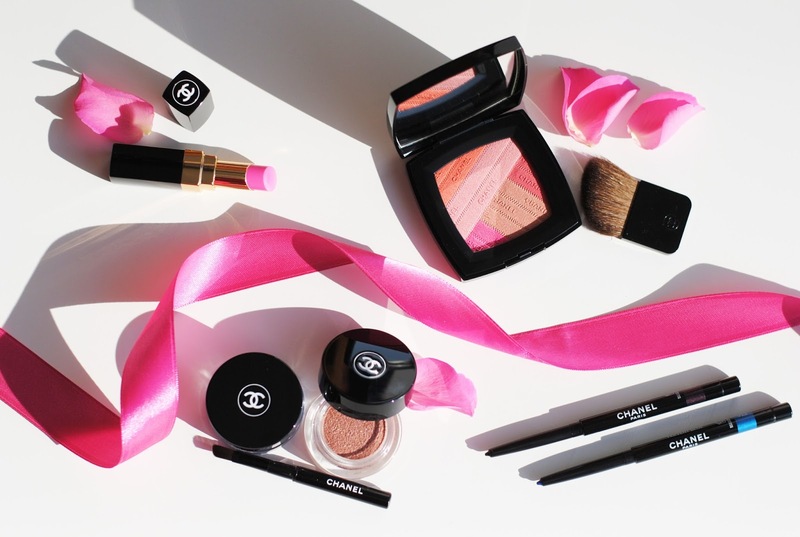 My favorite items from this collection are the eye pencils. Both colors are so pretty! 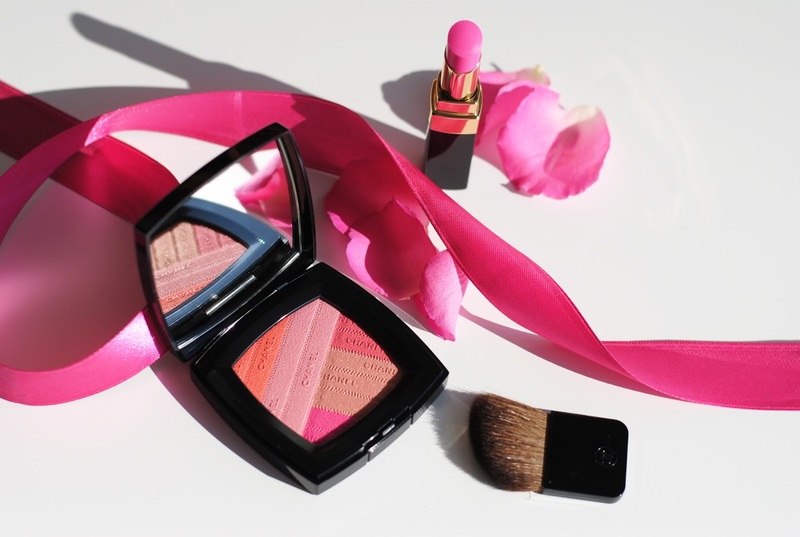 Prachtige collectie, die blush is to die for. Mooie foto's ook weer! Why does Chanel keep tormenting my wallet like this .. It's SOOOOOOOOOOOOOOO pretty!! 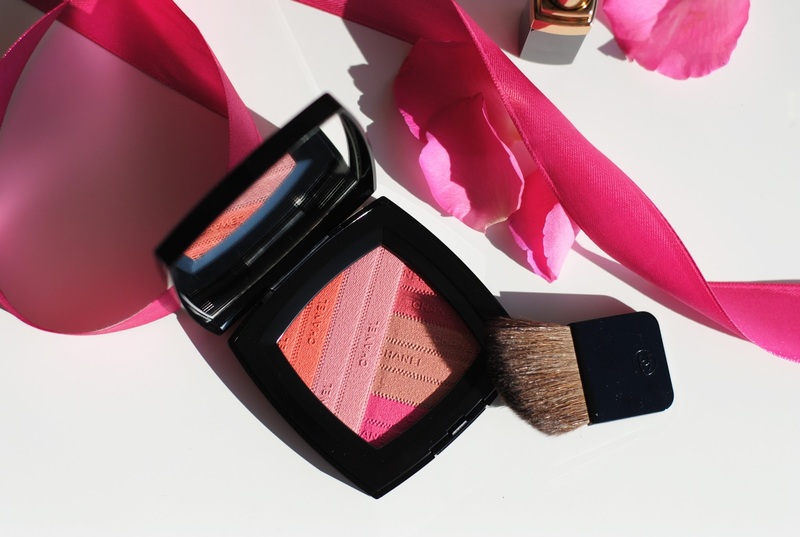 I am absolutely in love with that blush, it is so beautiful! Supermooie collectie! Ik ben voor de nagellak gegaan, hoewel de blush ook wel lonkte. Maar ach... you can't have it all, haha! Deze collectie is echt fantastisch! Ik wil die blush zo graag, wat een pareltje. Wauw, wat een mooie collectie!